I don’t remember now when it was that I first discovered laser cutters, but I do know that since that time I have wanted one. But a decent machine costs big $$$ and it was always well out of reach. (You can get inexpensive machines from overseas if you can accept the compromises in quality and features.) Then I stumbled across www.buildlog.net… with so many awesome examples of home built machines I couldn’t resist the temptation to give it a shot myself. Here’s an early version of the frame. 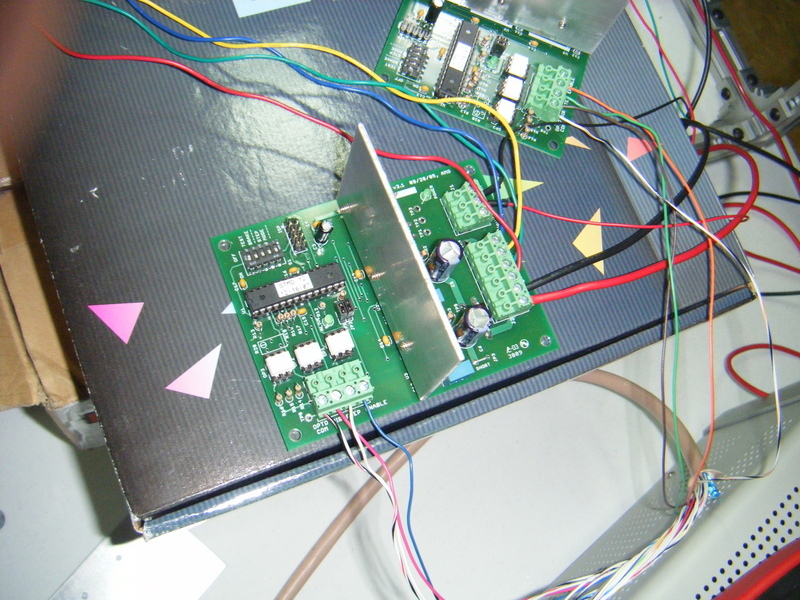 Hardly any of this design made it to the final build, but it worked well to test the motor controllers and belt drives. I decided to use AVRSMTD stepper motor drivers because the firmware is open source so I could make changes if needed. I only had to make very small changes to turn on the desired microstepping modes. The drivers have been working perfectly since. Here’s a pic. 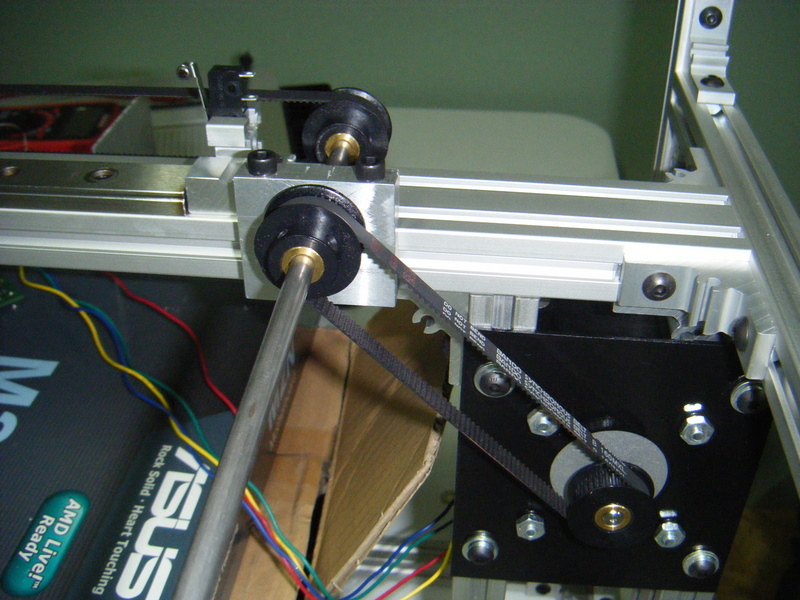 This is the belt drive for the Y axis. 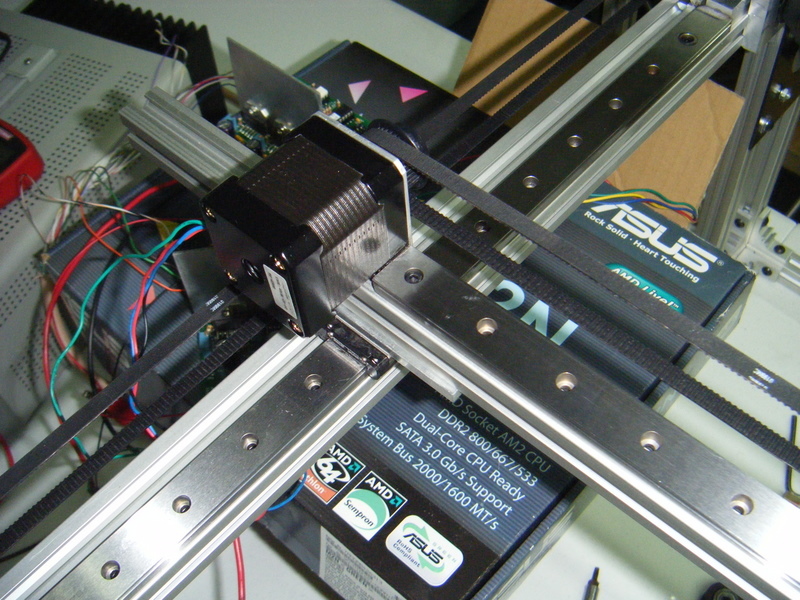 The X axis uses a nema 17 motor. Here’s an early version of the flying optics. This is the final version of the frame starting to get some skins and a new rolling cart for the machine to live on. 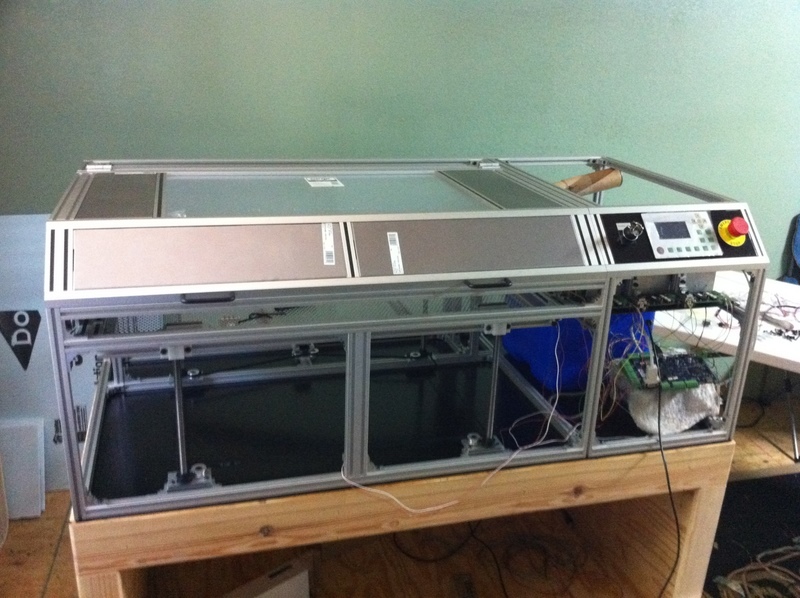 The laser cutter can function in two modes. It can “print” a raster image much like an ink jet printer by scanning the X axis quickly back and forth and slowly advancing the Y axis. When in this mode the laser will pulse quickly, only firing on the black portion of the image. Alternatively, it can follow the curves of a vector image. This mode is used mostly for cutting material. Here is a video I took while dialing in the speed of the X axis in raster mode. 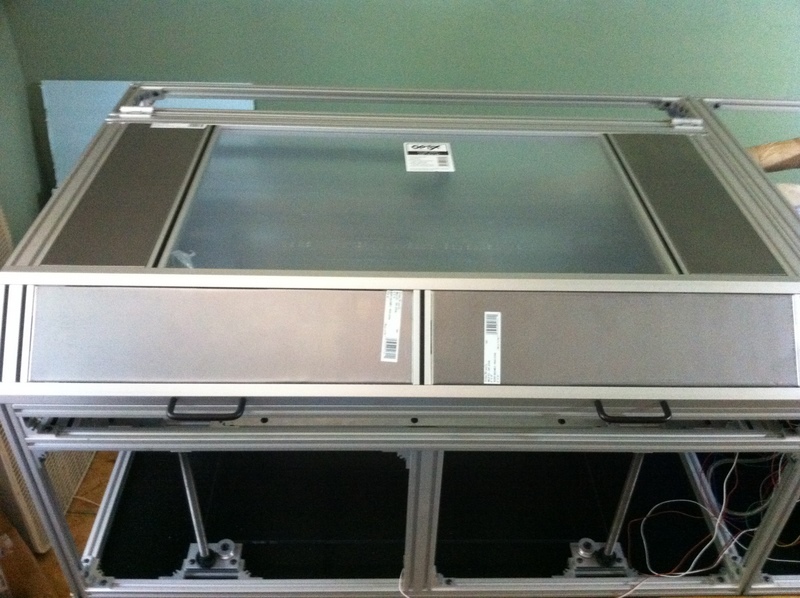 The skins are made out of light gauge steel panels bent at the edges and attached to the frame with screws. Here you can see the mounted control panel. 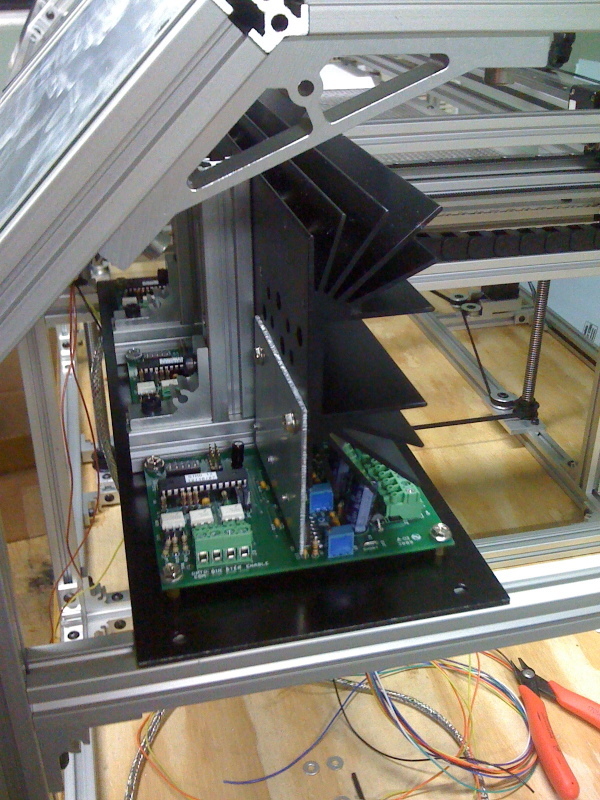 The system is driven by a DSP main board from LightObject. 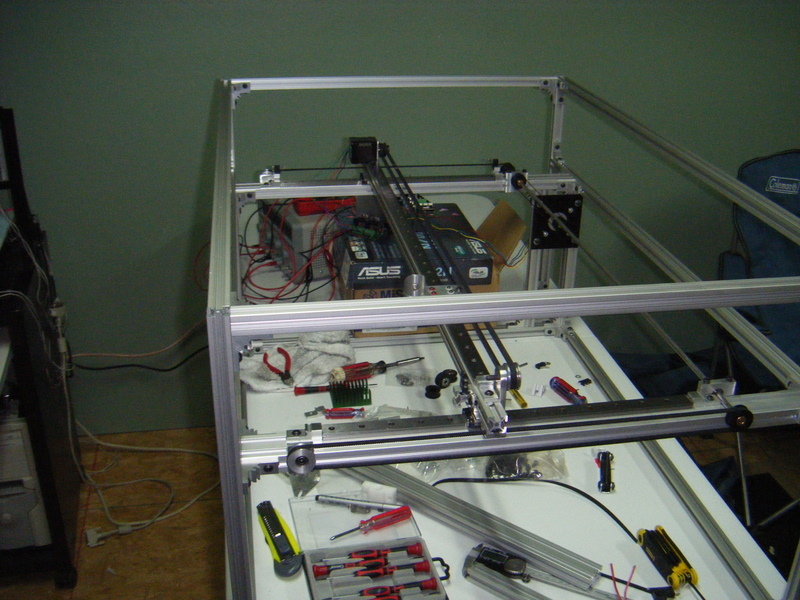 The rest of the build can be seen in Part 2.
dennis, I’m from Brazil and I would be starting my machine laser cutting, is to send me this project and the measures necessary parts? I don’t really have detailed plans. A lot of the parts were handmade without a great deal of planning or documentation. You might check out http://www.buildlog.net they have some very well documented projects. Dennis, I love what you did with the housing, it looks great. 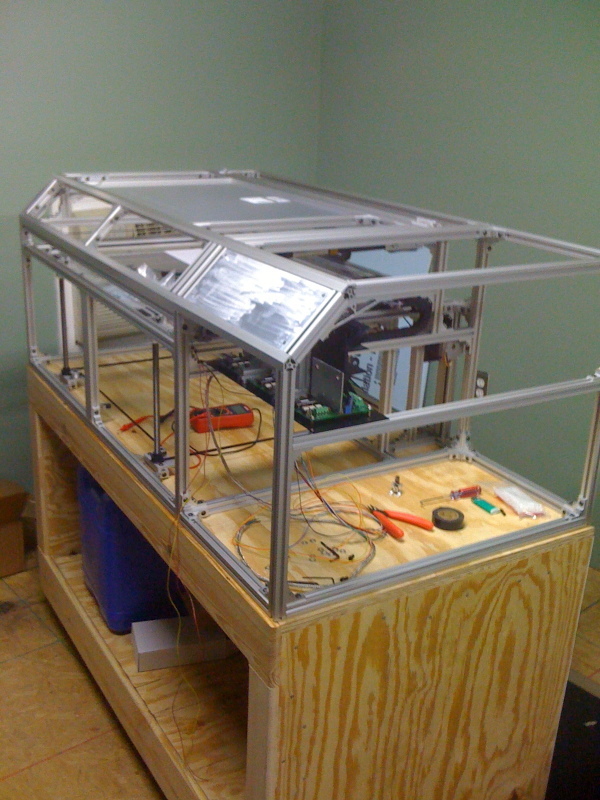 I’m interested in building a similar housing for my CNC machine to control the dust. I was curious where you got your extruded material including the corners and the angled corners? What brand? Thanks for the fast reply! Really great work on the project. Is there more? Same here. Kinda picking up where I left off on projects that have waited for over a year. Did you order the Misumi parts directly from their site or is there another place that sells them? Are the available in the states? Their site is very technical, still trying to figure out what all the diff part numbers are. 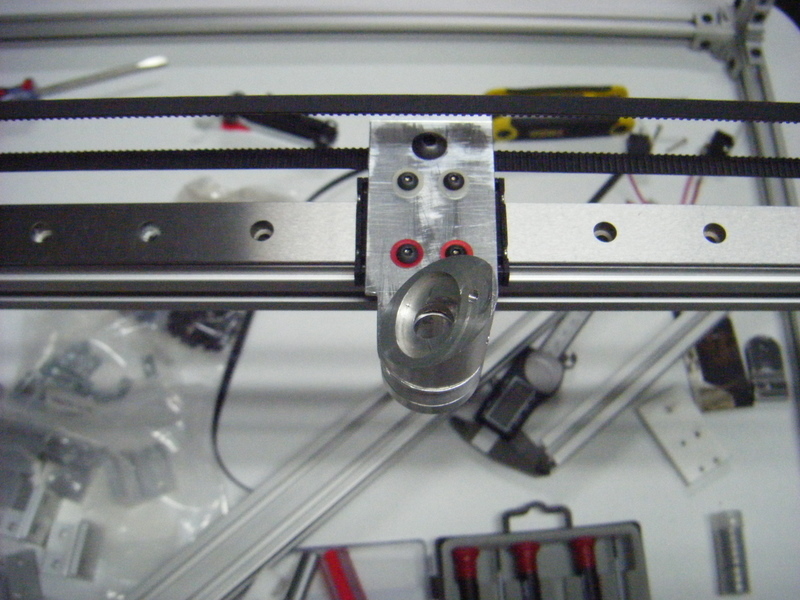 M3Roc, I ordered directly from Misumi. If I recall correctly I had to pretend to be a company to complete the order (they don’t mind it’s just that they aren’t really setup for direct to consumer retail). I didn’t have any issue getting them to ship to the states. And yes, I agree, their part numbering takes a little work to figure out, but once you understand the system it makes it really easy to make sure that you get compatible parts. 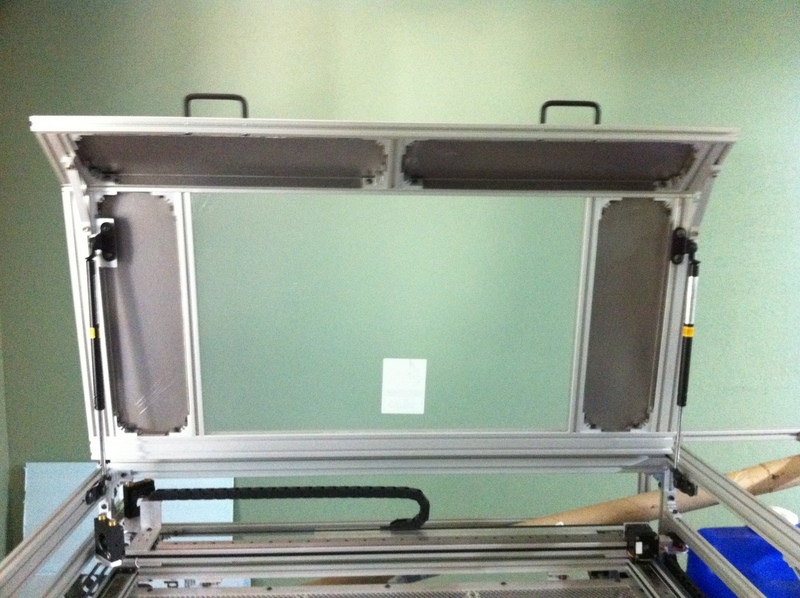 You might want to check out http://www.adafruit.com, they sell a smaller selection of extruded aluminum parts. I’ve ordered other items from them in the past and have found them to be excellent to work with.